The Pricing Propheteer: How much are you discounting by...? 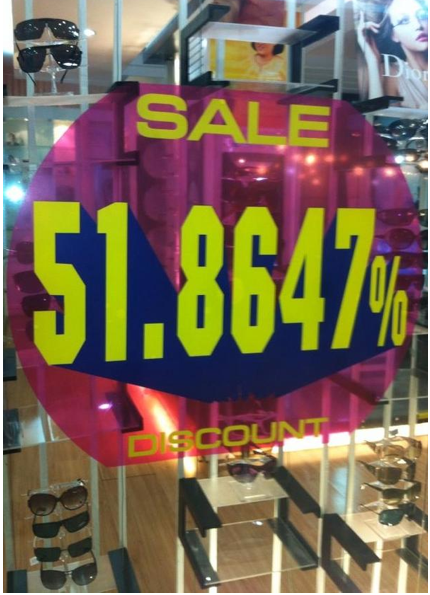 How much are you discounting by...? Here's a great photo, sent to me over the Christmas / New Year break, by my friend @dgmackay. It was taken in Hong Kong. Nothing like being precise with you how much you're discounting by...and getting attention in the process! I'm sure @Metisans will find this very "crunchy"